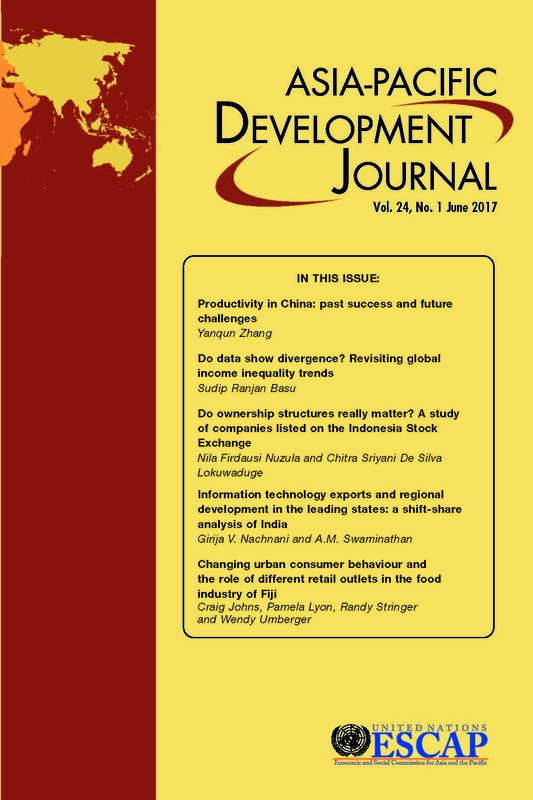 The Asia-Pacific Development Journal is published twice a year by the Economic and Social Commission for Asia and the Pacific. Its primary objective is to provide a medium for the exchange of knowledge, experience, ideas, information and data on all aspects of economic and social development in the Asian and Pacific region. The emphasis of the Journal is on the publication of empirically based, policy-oriented articles in the areas of poverty alleviation, emerging social issues and managing globalization. Original articles analysing issues and problems relevant to the region from the above perspective are welcomed for publication in the Journal. The articles should have a strong emphasis on the policy implications flowing from the analysis. Analytical book reviews will also be considered for publication.